Tony Hanna is a Sales Associate at Pearl Realty and works directly with Jeff Kreis, the Director of Sales. He is a seasoned agent and has been licensed since 2004. Tony has successfully sold a wide variety of real estate, including small vacant land parcels to numerous multi-million dollar properties. His experience, but most importantly, his attention to our clients’ interests is what makes him an excellent agent. He focuses on establishing relationships and listening to the client’s needs. You may know him or have seen him around wearing Viking blue on the basketball court of Coeur d’Alene High School. He’s the head boys basketball coach. 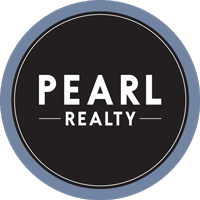 He brings that strong sense of teamwork, dedication and drive off the court and into the Pearl Realty brokerage. Tony was raised in the Portland area but has lived in Coeur d’Alene since 2001 with his wife, Willow, and two children. He graduated from West Linn High School in 1995 with honors, earned his bachelor’s degree in business from Linfield College in 1999 and his master’s degree in teaching in 2010. After graduating with his masters, Tony taught at Timberlake High School in Spirit Lake and was the head boys basketball coach until 2015. In his free time, what Tony enjoys most is spending time with his family. And, of course, playing more golf!